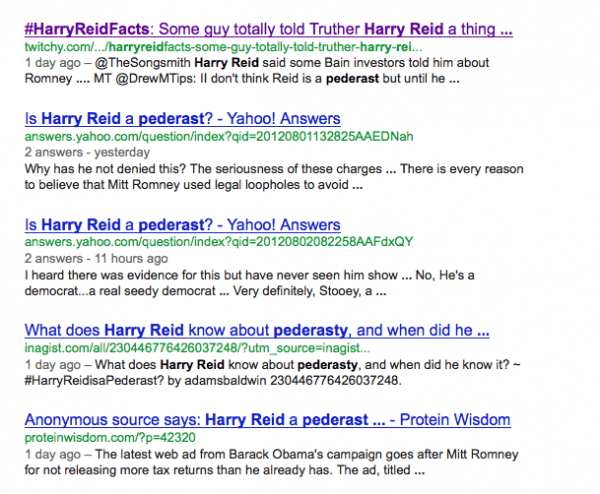 And I don’t think the burden should be on me to resolve those Harry Reid pederasty rumors, either. But when there’s this much Harry Reid pederasty buzz on the Internet, I think Sen. Reid owes the public an explanation. After all, even though it’s unsupported by any on-the-record facts, it’s a serious allegation. . . .